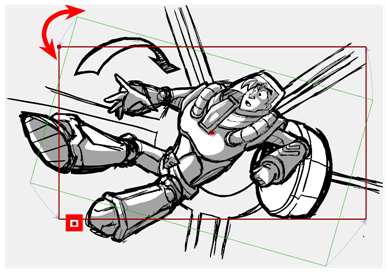 The position of the camera keyframes is set in much the same way as the Static Camera, using the Camera tool in the Stage view. 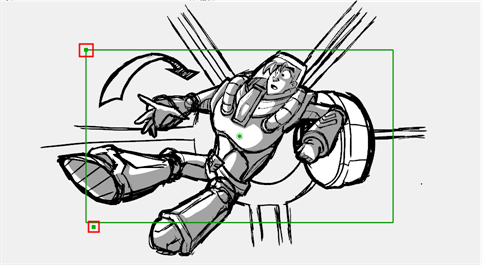 You must do this for every keyframe you created, so the camera moves from one keyframe to the next when played back. From the Tools toolbar, select the Camera tool. 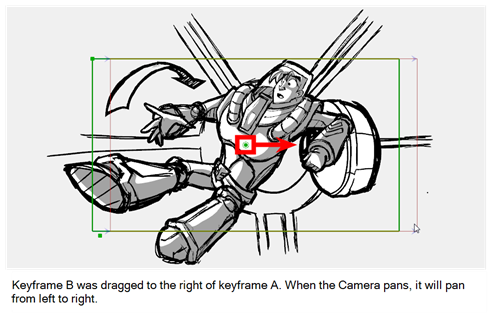 In the Stage view, select the camera keyframe to modify. Truck In, Truck Out: To position the selected keyframe along the Z axis, creating a truck in or truck out movement, drag the top-left corner of the frame when you see the Truck icon. When you release the mouse, the keyframe is set, and blue arrows appear to indicate the direction of the camera movement. In this case, it would be zooming out from position A to position B.
Rotate: To rotate the selected keyframe, drag the top-left corner of the frame when you see the Rotate icon. Move: To move the selected keyframe, drag the frame from the centre pivot point or the outer edge of the camera frame when you see the Drag icon. Nudge: You can also nudge the selected keyframe by pressing the arrow keys on your keyboard. 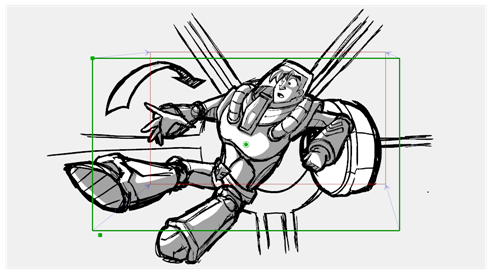 At this point, if you wanted to, you can select the B position keyframe and move it to a new location. When you play back the scene, the camera will move from position A to B.